We have together, with your support and the leadership of our Elders achieved a record breaking year in business and community Initiatives. I urge all of you to take the time to read this newsletter. Our success has been largely attributed to the Traditional Decision Making process, which involves regularly consultation and progress reviews with our Elders. 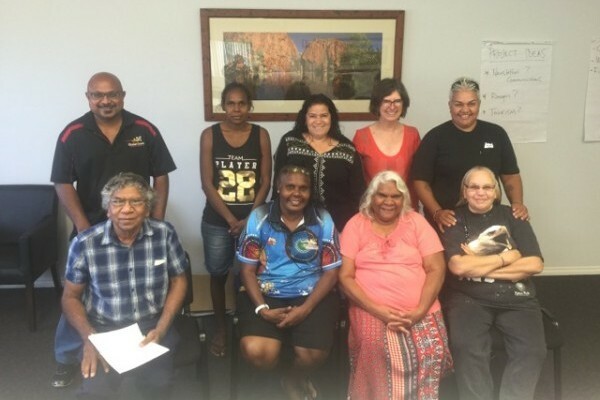 I would like to thank the Board of Muntulgura Guruma (MG) for sponsoring these meetings, recognising the views of our Elders in the finalisation of decisions. My fellow board members and I agree that this is a starting point and that there are more improvements to be made as we strive for further excellence and accountability. The road ahead will be difficult as we challenge the status quo trying to achieve better outcomes for the Eastern Guruma people and the wider Pilbara community. We count on your support and value your feedback. Thank you for another great year! It is important that we recognise the efforts of others in promoting our Corporation and Programs. I would like to once again, thank the Honourable Brendon Grylls (member for the Pilbara). Brendon, has been a strong voice for our Corporation, opening doors and providing sound advice. He is a genuine advocate for Pilbara development and a Champion for Aboriginal economic sustainability. Brendon, on behalf of our Elders, the Board and the Eastern Guruma people, “A Big Thank You”.